This GetResponse tutorial will teach you how to use GetResponse for all your email marketing tasks. Create complex and simple Automations. The automation feature, allows you to automate your marketing in such a great manner. Create simple and detailed Landing Pages. You can now use the GetResponse CRM feature to track your leads and customers. Basically, Get Response is a fully formed Email Marketing solution and a Marketing Automation solution. All of the above functionalities have been extensively covered in this GetResponse Tutorial. This is a complete tutorial on Skillshare. This Get Response tutorial will teach you how to use all the above mentioned features. The Get response tutorial is available on Skillshare. What is Skillshare you ask? Skillshare is one of the largest online platforms that provide video courses in almost all categories. Just signup on Skillshare and start watching courses. I have uploaded a few video courses there too. You will find this tutorial there. The format of this tutorial is in byte sized videos. The full course is made up of short videos that consistently follow each other. In the end, you will become proficient in using GetResponse. This is a full course, therefore, all the features have been covered. All the email marketing tasks and the Marketing Automation tasks have been fully covered. The videos are averagely short in length. Ranging from 2 to 5 minutes each. They are progressive in nature, meaning that they build on each other. I will be there for you as you learn. After joining this tutorial on Skillshare, if you have any questions, feel very free to let me know. All the videos that make up the full course are divided up into short videos. So feel free to ask me any questions about any videos. 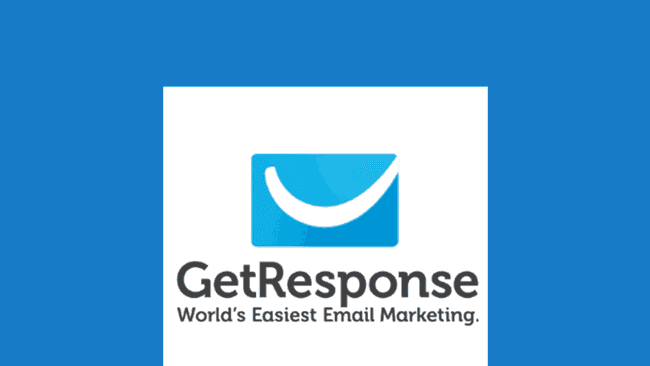 By the end you will learn how to do all your email marketing tasks using GetResponse. Join this Getresponse Tutorial here.